You like them or you dislike them or you certainly have way too much time on your hands. When I first heard about them as part of my job here, I thought it was a pretty cool idea but I still didn’t have a clue what it would be like. I even thought that people would be looking each other up and comparing each others achievements and getting a handle at how good (or bad) other folks on Xbox Live were. I must have been really short-sighted to not realize that people would be competing for comparing Gamerscores and of course, a leaderboard has popped up too. I’m not quite that competitive with Gamerscores at least, but I really like checking out what people have accomplished in their games. This is especially true since, at the moment, I’m really not good at getting secret achievements that aren’t specifically part of the game or story (like Kameo) or some downer achievement like the losses in DOA4. I also avoid reading the walk-throughs for games just to get achievements. Although I’m now eternally frustrated that I think I missed a mining point in Gun and I’m one away from getting the “Professional Prospector” achievement. Anyway, what’s my point? Oh, even though I do my best to avoid spoilers, I like the fact that there are sites, like Xbox360Achievements and Achieve360Points out there to catalog them. That’s a pretty nice thing to have as reference. Would it be really ironic that I’m currently typing this out of the old Nordstrom’s corporate headquarters building? And so all goes full circle. I keep forgetting about those special themed holiday events in games. I forgot about the Christmas/Winter event in FFXI even. But it didn’t seem to be that much of a big deal, it’s usually fun to participate and sometimes (like for Halloween) there are some rewards that are totally worth it. This time in FFXI, Valentione’s Day, creeped up on me. Although I frankly have little motivation to do anything that requires a time investment, I will do it. I won’t hate it, I just don’t think I can easily find that kind of time in my life before the event runs out. I definitely want one of the items though. 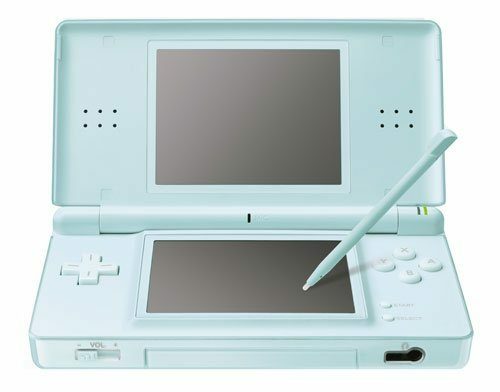 Nintendo announced the colorways which will be available for the Nintendo DS Lite at launch (in Japan at least). Except for white I think these are pretty bold color choices for a handheld at launch. Based on this, I updated my planned purchases list as Ice Blue is going to be my first choice, especially since it almost matches the color of my car. How sad… ha ha. ps. No pink? For shame. 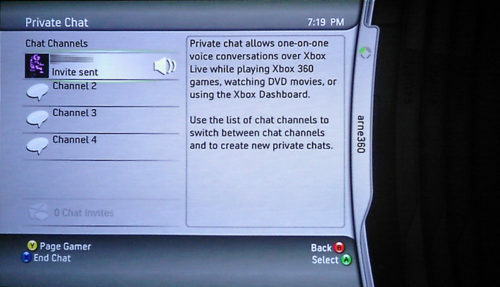 One of the most requested things I’ve seen on the boards, apart from Backwards Compatibility updates, has been adding a multi-user chat “room” to the exiting one-to-one chat on Xbox Live. When rumors of the update to the Dashboard started circulating a few weeks ago, every few posts was either specifically expressing hope for or requesting the addition of a voice chat feature that would let you have multiple people join in. Looks like the folks on the Xbox Development Team have noticed the same thing and have addressed why one-to-one chat is the only option available on their Xbox Team blog. Finding out that the minimum broadband requirements are 64kbps upstream and downstream for all Xbox Live functions and games was a pretty interesting piece of info to come out of it… I know nothing about games networking, but that seems like a pretty small bandwidth requirement and it’s a testament to how the networking has been optimized for online considering all the games work pretty well online.